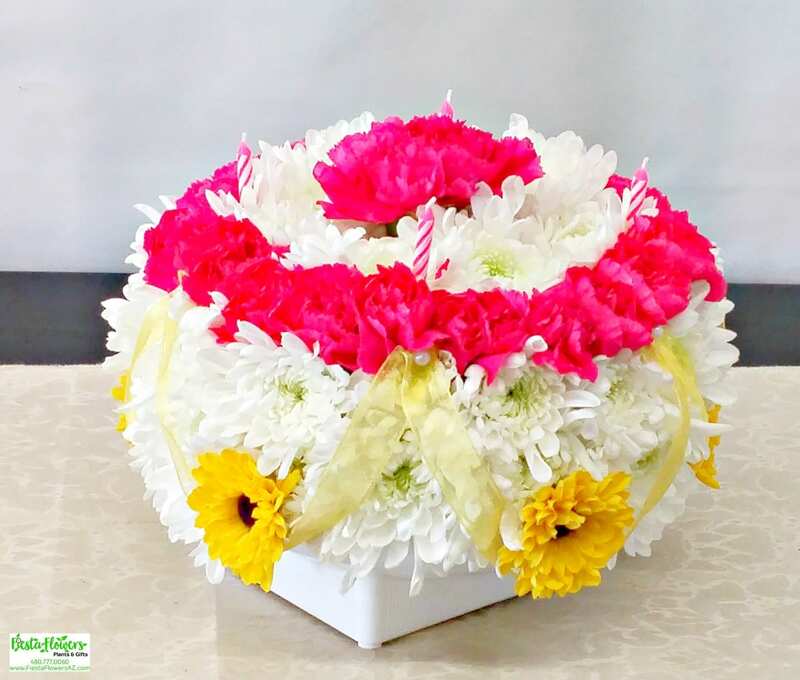 Our Festive Birthday Cake is made of fresh flowers! 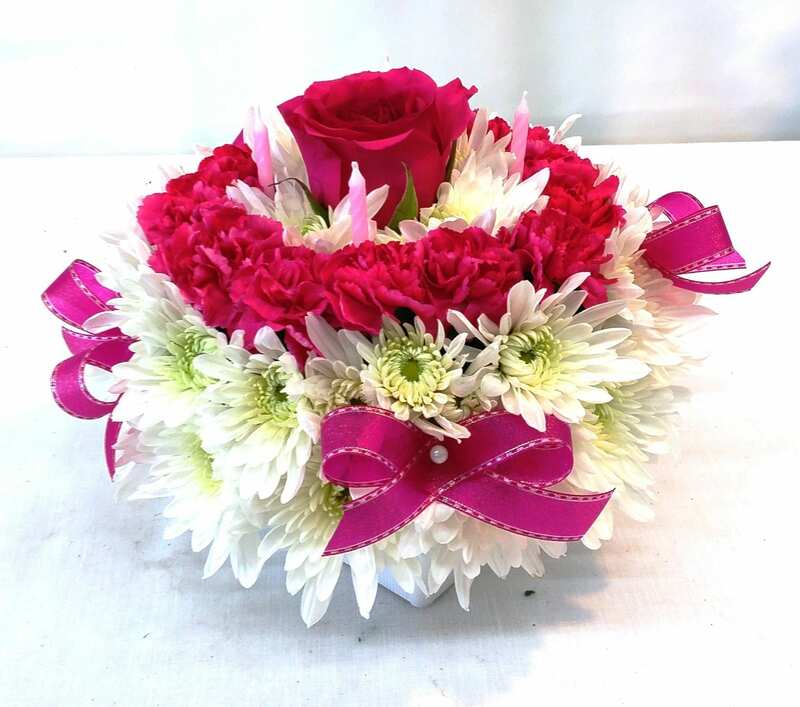 White mums, hot pink Mini Carnations, and yellow seasonal Daisies. 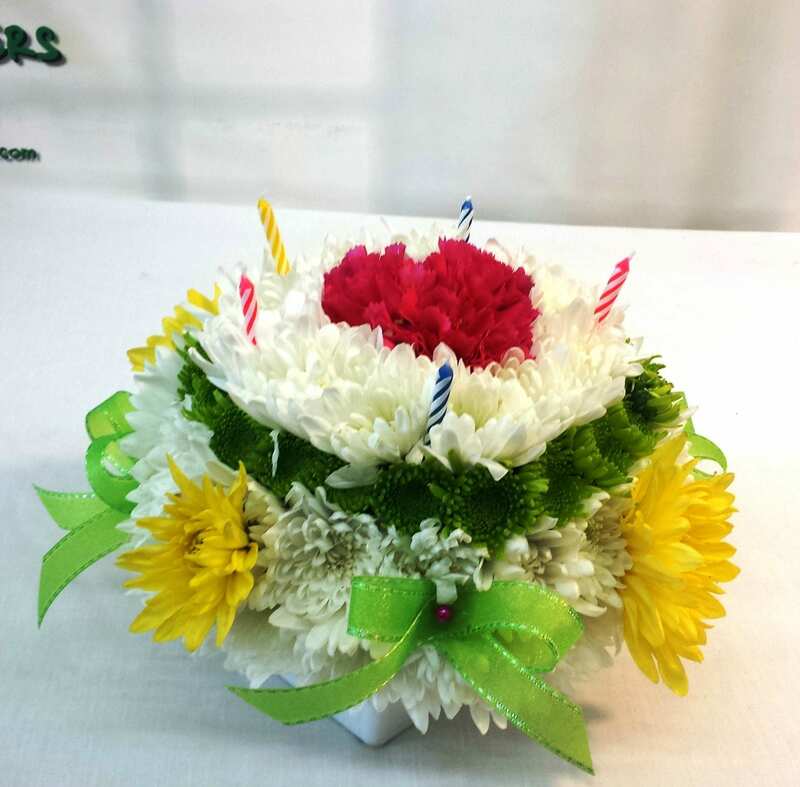 Four birthday candles adorn the top of this cake. We have also added four yellow ribbons to the cake sides. 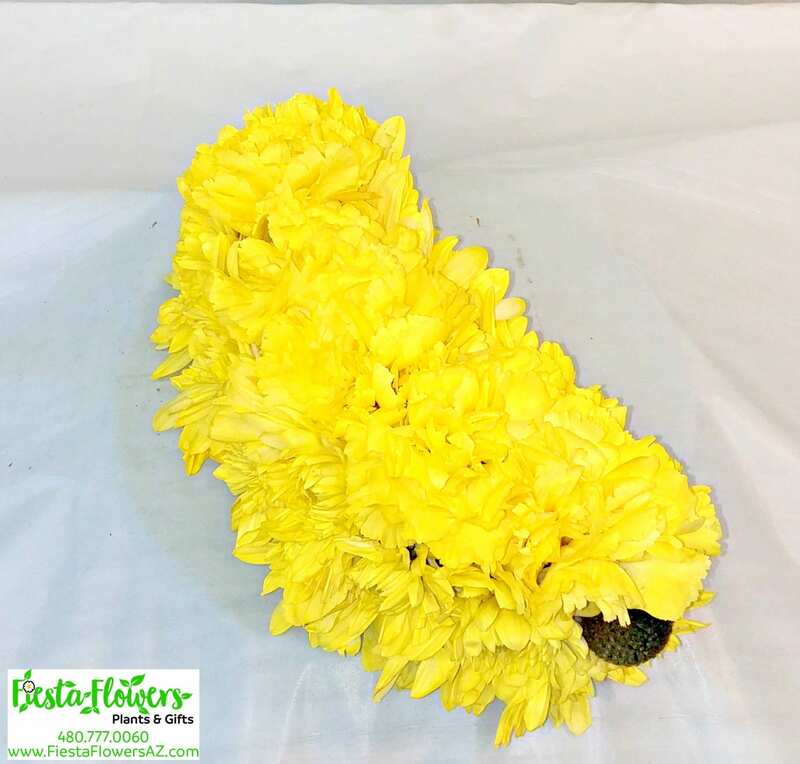 Our Fiesta Flower Cakes are delivered in cake box with tissue paper.